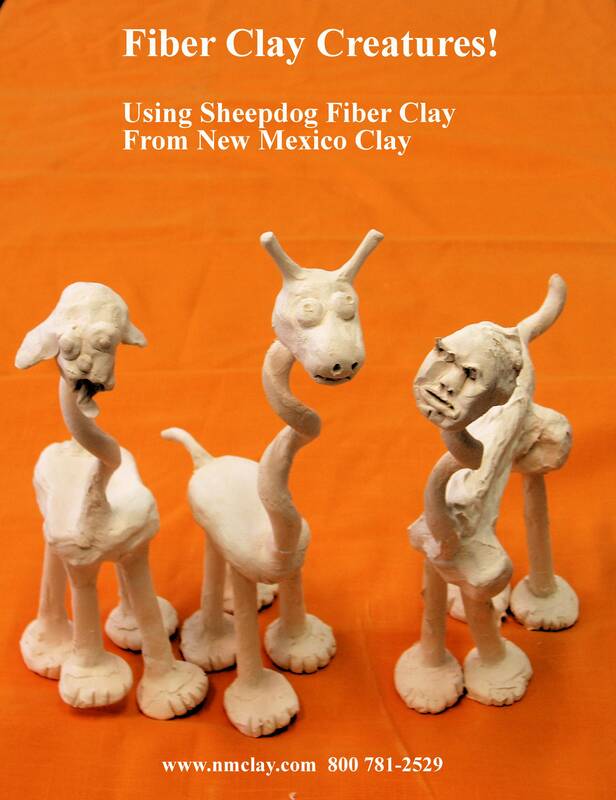 Mixing fiber into clay gives the clay many new and exciting properties. You can allow the clay to dry out and then make attachments, adding bone dry to bone dry. You can build sculptures that would be impossible with plain clay. Because these fibers cling to, rather than absorb, water they better promote the movement of the water through the mix. Fibers such as cellulose or "paper fibers" are actually less desirable because the water they absorb does not move any further; only once the individual fiber has absorbed all the water it can hold does the remaining water move on through the mix. This may be why Nylon has proven to be an acceptable choice for fibered clay; it is slightly absorbent, but not exceptionally so. Another point about the cellulose fibers is that they swell when wet. This means as the fibers dry, they will shrink and leave voids in the clay, creating weakness and the potential for cracking. On the other hand, nylon fibers will promote crack resistance and strengthen the mix.